I constantly monitor the official Matlab blogs – they are interesting, well written, and I often learn something new. A few days ago I read Steve Eddins’ latest post on his Image Processing blog. Steve pointed out a recent addition to the MathWorks.com website, which added a section of archived documentation for previous Matlab releases all the way back to R13SP2 (from 2004), including all their corresponding toolboxes. Archived Japanese-language documentation is also available, although not in as complete a manner as English-language docs, nor in an orderly list as the English docs, for R2009b, R2008a, R2007a, R2006a, R14 and R13sp2. Of course, the latest documentation (lately of R2010b which was released a few days ago), is always available in the website’s main Matlab documentation page. Unfortunately, older releases are not archived at the moment. There are several versions available online (university caches etc. ), but I do not know whether they have a copyright license, so you will have to find them without my help (no pun intended…). If you have the installed version, you can always access the installed documentation – that’s what I do with an R12 (Matlab 6.0, from 2000) release that I keep for my code backward-compatibility checks. 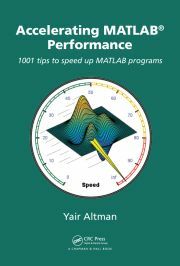 Searching the state of earlier Matlab releases has always been difficult. I often found myself wading through a long list of lengthy release notes until I found the change I was looking for, assuming it was even documented. In this blog I often refer to undocumented, under-documented or mis-documented features and these are much harder, if not impossible, to find in the release notes. When I need to use an online reference, I needed to rely on some second-hand doc archives (for example, in my recent DDE article). Having a central repository of release docs greatly simplifies some of these tasks. As I mentioned earlier, monitoring Matlab’s official blogs is certainly worthwhile. It is very unfortunate that there is no external access to MathWork’s internal blogs – I am certain these are even more interesting! Is it possible they might describe an online section not of previous releases but rather of future ones? Shana Tova everyone – a Happy New Year filled with new discoveries! While our internal blogs are pretty active, I think most of our customers would find them quite boring. They’re pretty mundane, mostly sharing links to news and how to set up various programs on our network. Not quite on topic, but why do TMW not provide an ‘update’ resource for a few version specific functions. For example, isVerLessThan was introduced recently (presumably because version 7.1 and 7.10 could not be distinguished with existing routines). isVerLessThan is clearly designed to assist users write code that is backwards compatible, but users of early versions will not have the isVerLessThan function so it can not be used for its intended purpose. There are others, like ismac(), that are not available on MATLAB versions where the Mac was not supported. If TMW put this handful of functions into a free pack for users of older MATLAB versions, those of us with the latest version could start using them. A backwards compatible version of verLessThan is available here. See Hanan’s related comment, regarding performance aspects of verLessThan. 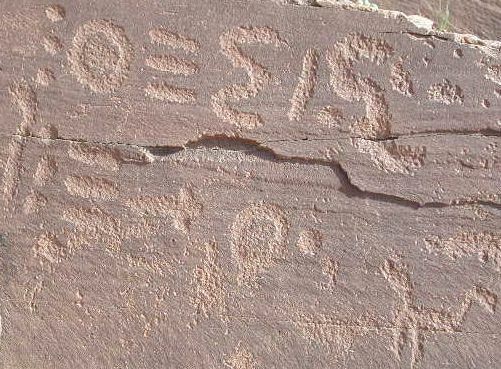 Please say that the image is from Morocco and the alphabet is Amazigh. Thank you for all infos. shining salutation from south Morocco.